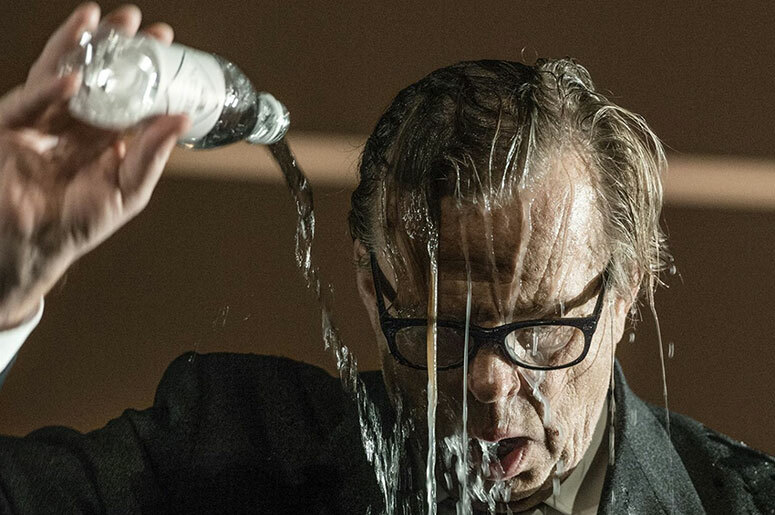 As part of the Printemps nordique event at the Place des Arts, the Royal dramatic theatre of Sweden (Dramaten) presents the play Doktor Glas with Krister Henriksson in the role of a man facing his choices and regrets. Alone on stage, Krister Henriksson embodies Dr. Glas, a respected doctor from Stockholm who is devoted to taking care of people. Henriksson is known for his role as the famous Inspector Wallander, the main character from Swedish writer Henning Mankell’s detective novels, which were adapted in the eponymous television series. On the stage as Doktor Glas, Henriksson masterfully tells an enchanting story that combines suspense, dark humour and poetry. Renowned in the worlds of cinema and theatre, Henriksson has received numerous awards. Co-owner of a theatre and an audiobook publishing house, he also teaches scenography at the Stockholm Academy of Dramatic Arts. Adapted from a famous novel published in 1905, Doktor Glas tells the story, in diary form, of a romantic, tormented doctor who falls in love with a patient whose pastor husband of questionable morality requires her to engage in nonconsensual sexual intercourses. Even though the woman already has a lover, Doktor Glas will do anything to help her, even at the risk of sinking into depression, hiding reality or planning a murder. The story of Doktor Glas also deals with issues such as abortion, women’s rights, suicide, euthanasia, and eugenics. Ahead of its time, the novel triggered a lively debate in Sweden at the time. In 2018, the play has a resonance that is increasingly relevant. The mise-en-scène takes spectators to 19th-century Stockholm. Henriksson’s subtle performance is as intense as it is exceptional. The lighting and sets create a penetrating atmosphere that adds a unique dimension to the play. The play Doktor Glas is directed by the great playwright Peder Bjurman, a regular collaborator of Robert Lepage. It will be presented on April 27 and 28 2018, in Swedish with English and French subtitles.